Hi guys! This past week has been mostly good. I spent all of the last weekend just relaxing with my guy, who took vacation, and then spent the week after we both went back to work basically doing the same thing. I think being in customer service is really wearing on both of, even my best friend is nearly at his breaking point. I don’t have nearly as many bad customers that they do (because walmart…) and I’m finding myself immensely frustrated on their behalf. 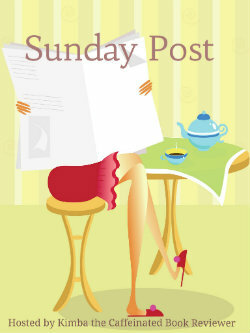 I did get some reading done, and I’m currently trying to decide if I’ll open on Monday. (It’s Memorial Day in the US). Tomorrow is also our 9 year anniversary, but we will be celebrating today since he has to work. Not sure what we’ll do yet. Happy anniversary! Nice reviews this week- I liked Ready Player One too. Any book that has JOUST in it.. love that old game. 🙂 And storm of swords- I think Jaime’s chapters were my favorite part of that book. Good stuff… Dance with Dragons is like SoS in that a lot happens, even if the plot does slow a bit. Thank you! I’ve only played Joust once but it was a blast. I played it a few years ago at a Disney themed arcade. I used to work in customer service and urrghh so many rude and plain crazy people! Glad you had a nice break though, that is always badly needed! YES…so many crazy people. It’s actually a bit scary how many utter loons are out there. Happy anniversary! I want to read Off the Page – I think it sounds so interesting. 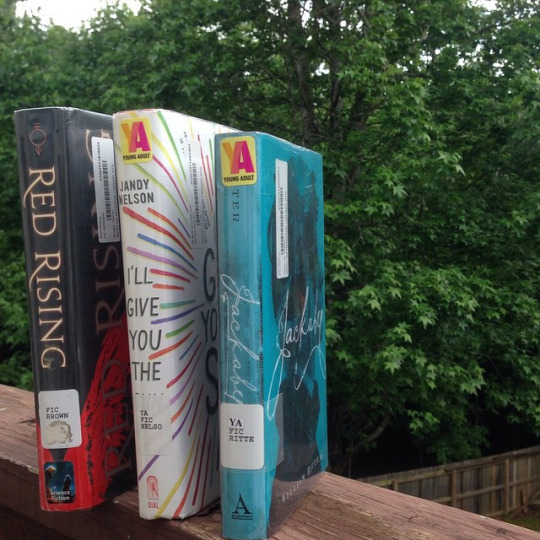 Quite the nice book haul – Red Rising and I’ll Give You the Sun have been o my radar for a while – Happy reading! Thank you! You might want to try out Between the Lines first, it’s the “companion” novel but it feels more like an actual series and that’s the first one. 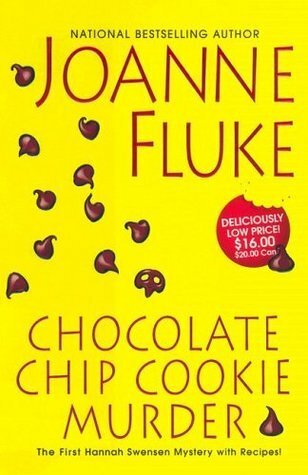 I’ve never read Joanne Fluke, which is weird because I read a lot of mystery series. Maybe I just haven’t had time. 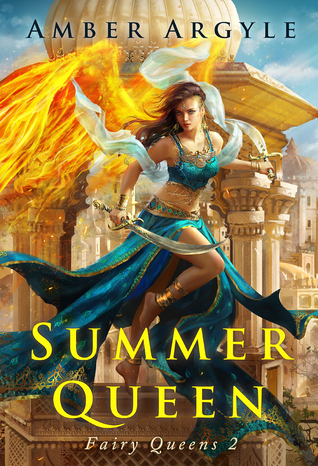 The covers always appeal to me, and that’s the first way I pick a book. I use to read a ton of cozy mysteries but I had never found myself interesting in this series, and for some reason I just randomly decided to pick it up. It’s a really fun read so far! Red Rising was an interesting read! I hope you’ll like it as I did 🙂 Have a lovely Sunday! Me too, thanks for dropping by Sofia! Happy 9th anniversary – I hope you get to take a break and have a nice long weekend! I used to work the phones at LLBean and it was hard being unfailingly nice and not sarcastic all the time. I had to save up all my grumpy for when I got home. That went over well. Oh I totally understand….there are some customers that just push you right to that limit and by the time you get off work you’re ready to light something on fire. Hopefully all three will be really good! I’m not big into YA contemporary but I do enjoy one on occasion. Great haul. Red Rising sounds intriguing. Have a great week! Happy Anniversary. Enjoyed I’ll Give You The Sun. Have a great week.